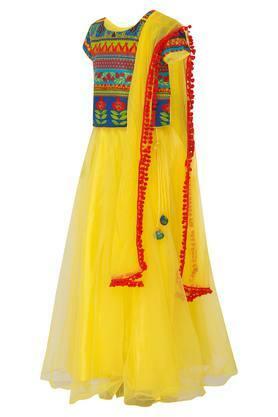 Your daughter will look gorgeous in this ghaghra, choli and dupatta set from the house of Biba Girls. 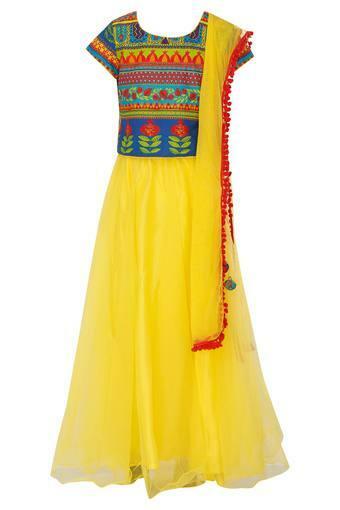 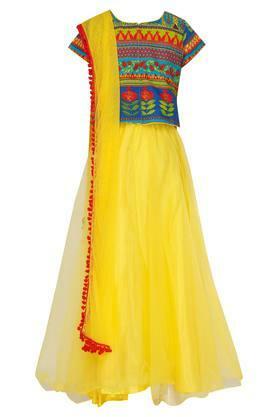 The choli comes with short sleeves and has a round neck along with printed pattern that lends it a distinct appeal. Above all, the solid ghaghra works as the perfect complement. Ideal for your daughter to wear on special occasions, this ghaghra, choli and dupatta is a melange of tradition and contemporary style. Let her club it with a pair of mojaris to complete her look.